Are you up for an adventure today? 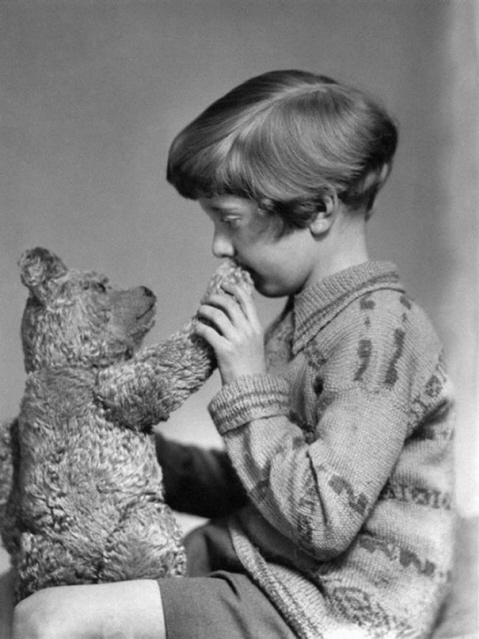 Long ago picture of Christopher Robin and his pet bear. It’s all in the way you look at things. Every day should be its own adventure. If you wish to see beauty, you will see beauty. If you want to be happy, you will be happy. So, have an exciting adventure just for yourself today. Jump up in the air and click your heels (If you can’t quite pull that off any more, do it mentally). Share a smile with a cute little kid.